Virginia’s statehouse was in chaos this week after Gov. Ralph Northam defied fellow Democrats’ demands to resign over a racist photo in his medical-school yearbook, while his possible successor, Lt. Gov. Justin Fairfax, denied an allegation he’d sexually assaulted a woman in 2004. The next in line for the governor’s office, Attorney General Mark Herring, confessed that he had worn blackface as a 19-year-old college student in 1980, when he dressed as a rapper for a party. “It’s a mess,” said Democratic state Sen. Lionell Spruill. Northam, 59, initially apologized for appearing in the photo on his 1984 yearbook page, which shows a man in blackface standing next to someone in Ku Klux Klan robes. He didn’t specify which costume he was wearing. Northam backtracked the next day, saying he wasn’t in the photo. But he did confess to wearing blackface that same year to portray Michael Jackson at a dance contest. “Northam must resign,” said The Virginian-Pilot. He ran for governor in 2017 on the promise of providing a steady hand and being “the adult in the room.” Northam now looks anything but. His blackface shame was no childish indiscretion: He was 24 when the yearbook was published, and should have known the get-up’s connection to Virginia’s ugly racist past. If Northam wants to help heal those wounds, he should do so away from the governor’s office. Democrats have no choice but to show “zero tolerance,” said Domenico Montanaro in NPR.org. To claim the moral high ground in the Trump era, they simply can’t afford to accommodate racially insensitive politicians such as Northam, or those accused of sexual misconduct, such as former Sen. Al Franken. 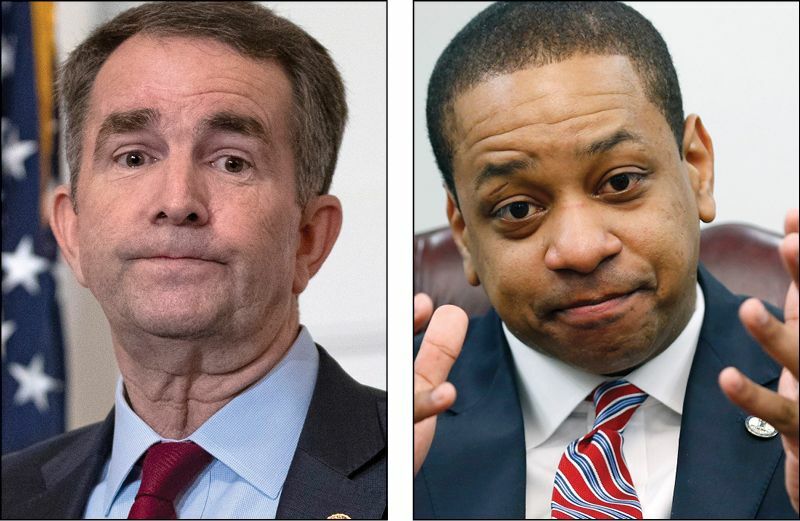 Many Republicans have joined Democrats in calling for Northam’s ouster, said Charles Sykes in TheBulwark.com. But how can the GOP muster the chutzpah after Roy Moore, Trump’s Access Hollywood tape, and Charlottesville? If they “can swallow accusations of pedophilia, sexual assault, and sympathy for white nationalism,” what gives them the right to now “suddenly develop scruples over a photo” from 1984?